Happy Monday!!! 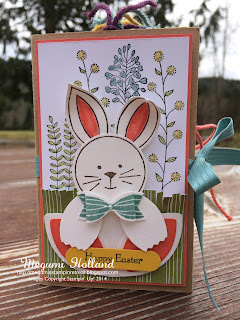 Here is an adorable Easter Mini Scrapbook we made at my Scrapbook Club workshop earlier this month. 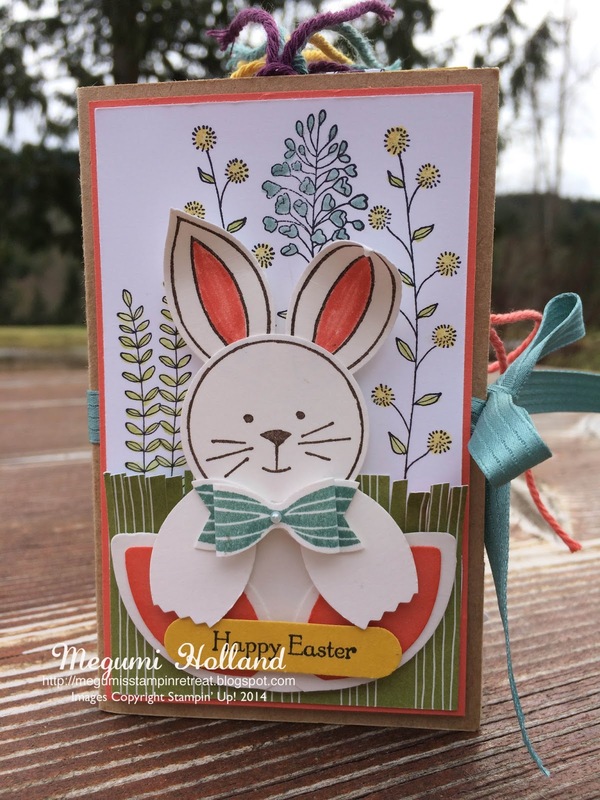 We made this cute bunny using the Friends & Flowers Stamp Set and the Festive Flower Builder Punch. This stamp set is amazing! You can create fish, flowers, animals and etc. Endless possibilities!!! 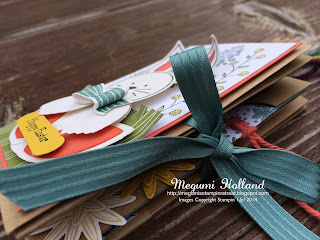 To create a pretty background on the cover I stamped images from the Flowering Fields Stamp Set and colored them with some inks and a Blender Pen. Easy and quick!!! 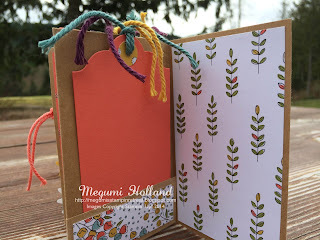 There are a lot of spaces with two pull-tags and one side-tag in this mini book. 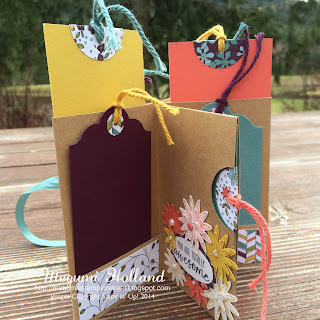 There are more tags that just slip in the bottom flap too. 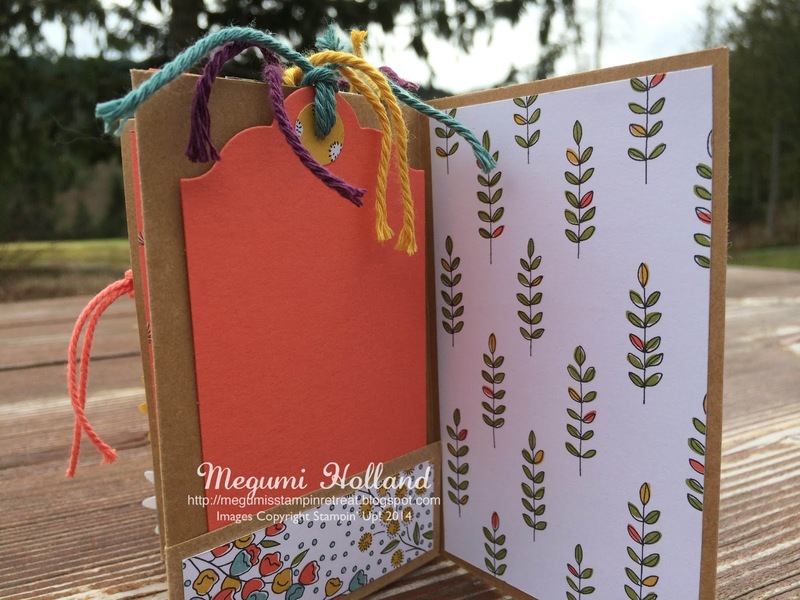 How about these pretty colors? I picked Blackberry Bliss, Calypso Coral, Hello Honey, Lost Lagoon and Old Olive from the Wildflower Fields DSP which is one of the Sale-A-Bration products this year. There are only a few weeks left to take advantage of the Sale-A-Bration promotion. 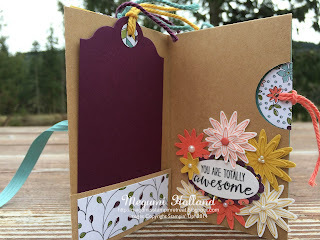 Have you seen the new Blossom Bunch Punch in the Occasions Catalog? 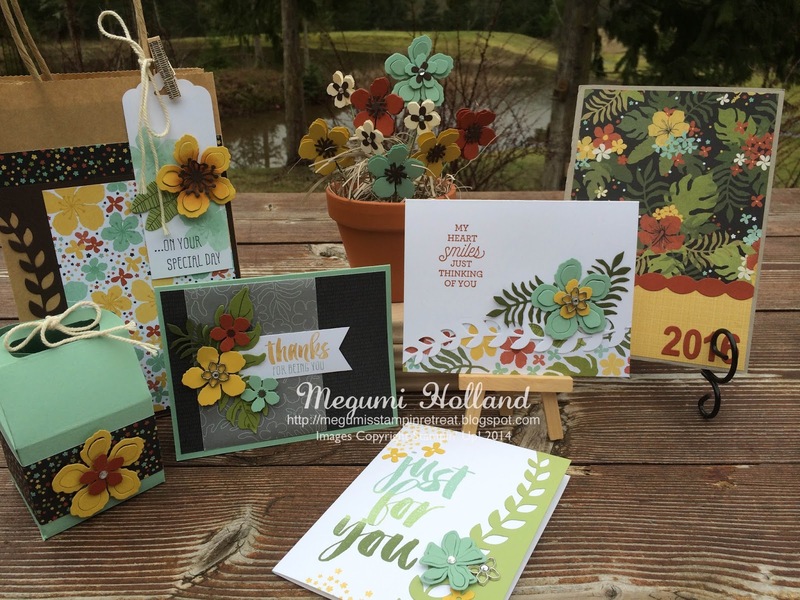 The flowers you see on the right page are stamped using the Grateful Bunch Stamp Set and then punched with the Blossom Bunch Punch. I added some Candy Dots and Pearls to decorate the flowers. The tags are die cut using the second largest die of the Lots of Labels Framelits. 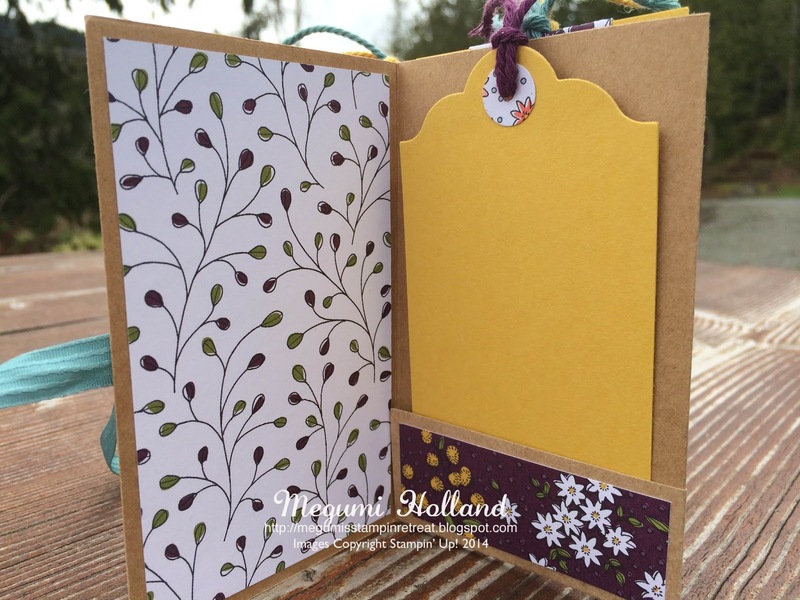 I only die cut the top part of the tag so that the bottom of the tag has a straight edge. Here is the last page of my scrapbook. 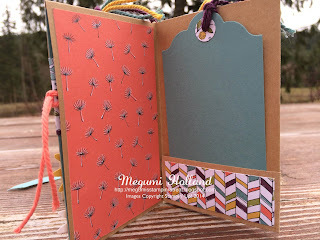 I had so much fun creating this scrapbook! The base of the scrapbook is made with a piece of 12" x 12" Kraft Cardstock (133674) which is heavier than our regular cardstock and perfect for a base like this. Hope you like it!!! Don't miss out!! Only a few spots left. Click HERE to learn more about this class.